so ive worn these shoes on every outing since i bought them and i *LOVE* them! despite the point, they're much more comfortable than most of my other shoes. and i love their girly vibe contrasted with 'rocky' clothes like the pvc leggings and army-ish parka. my friends were shocked &amused at seeing me in a tiny heel but im so excited that im planning on buying their sister pair (hello leopard-print pony skin) as soon as i get paid, woo! I bought the same parka from stradivarius,and I'm sooo angry that it's still not cold enough so I can wear it. The combination with those cute heels is excellent!Love your style! i have to get those shoes. they are just fantastic! thanx for your comment,yeah my friend's waving dress is great. And you're so right about the weather,it's ridiculous! I hope we'll have the chance to wear our lovely parkas soon!! 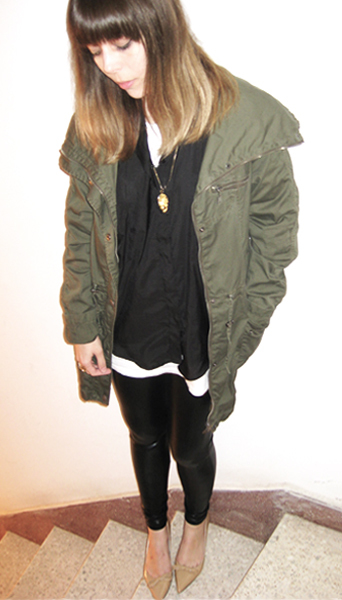 The parka is so perfect it's awesome! SO ard to find one in the right fit and without too many embellishments. love how you've paired this outfit with ladyliek pumps! cool look. 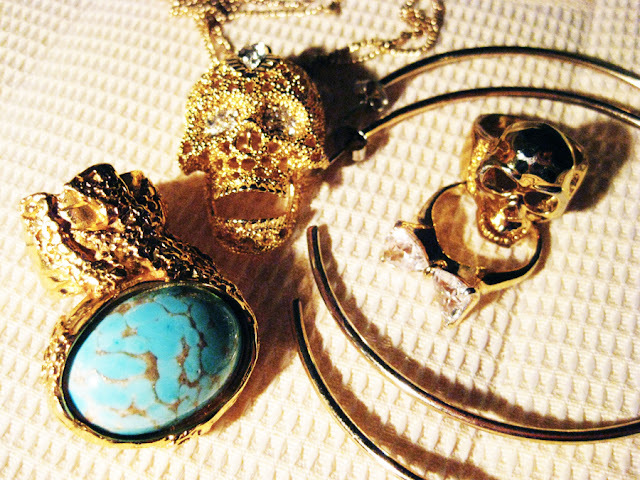 i want that skull ring from your cheap shop!!!! i want it!!! !